In 2016 I was asked to translate a number of essays written by 2nd generation Jews about their growing up with parents who suffered from the antisemitic atrocities committed during the Third Reich. 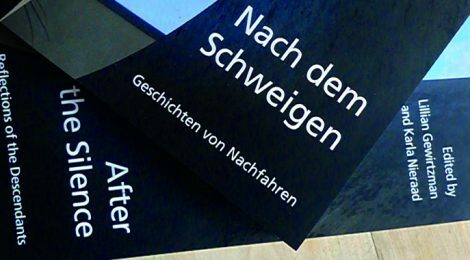 In the book “After the Silence”, these texts are juxtapozed with essays written by the descendants of German parents, of those who may have committed, supported or ignored these atrocities. It is sad, but not entirely surprising, that the body providing funding for the collection of “Jewish” essays withdrew their funds when they found out that texts by Germans were also to be included. Translating these texts was not at all easy for me. Reading the book is near impossible. It’s astonishing how difficult it is to read through a drop of salty water.